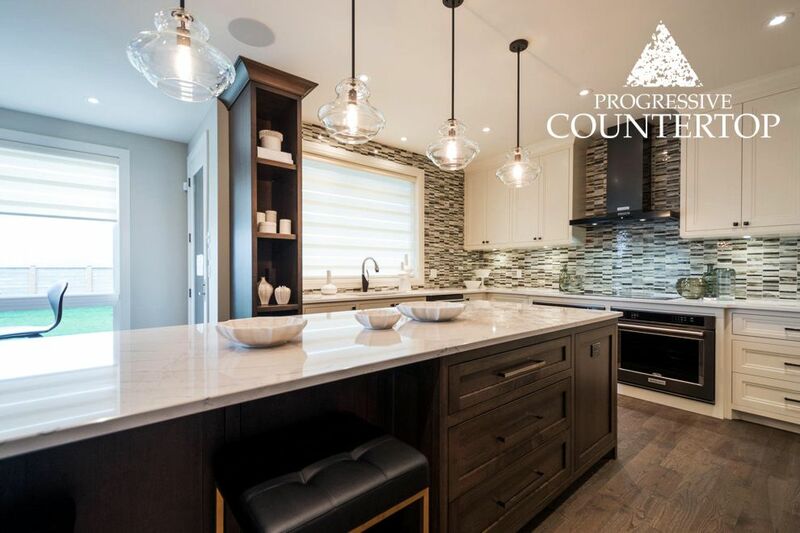 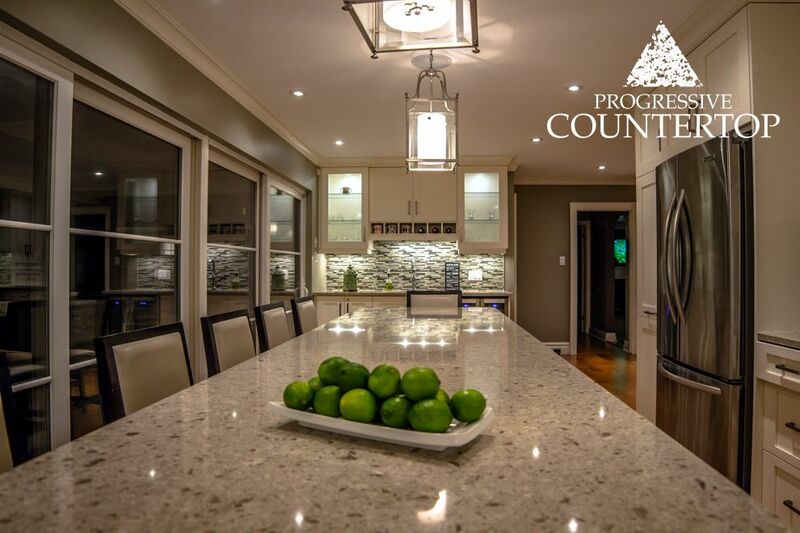 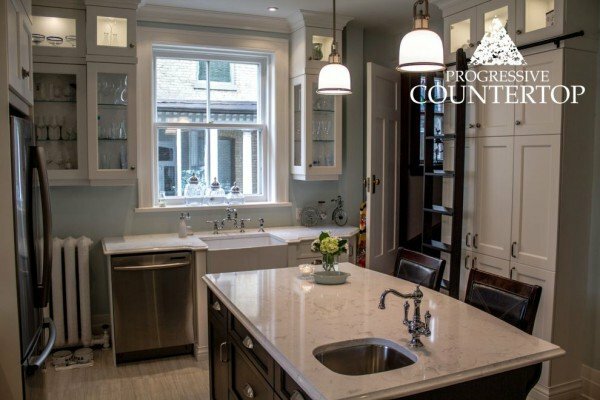 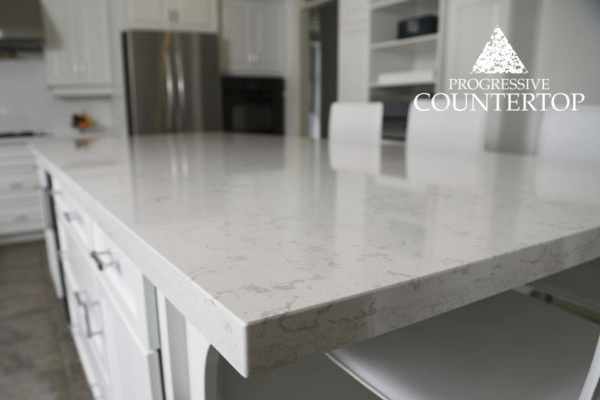 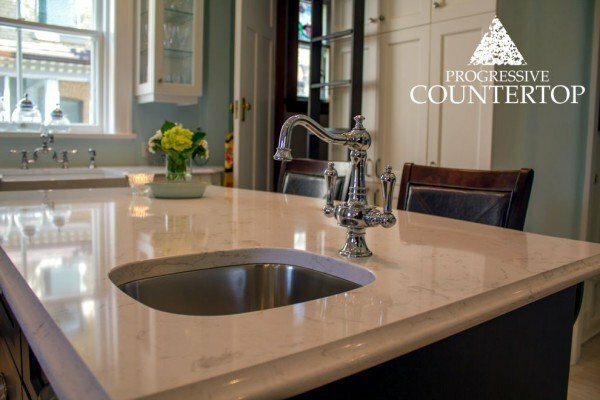 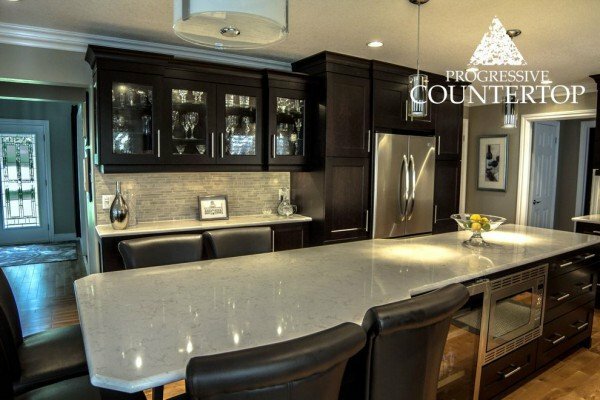 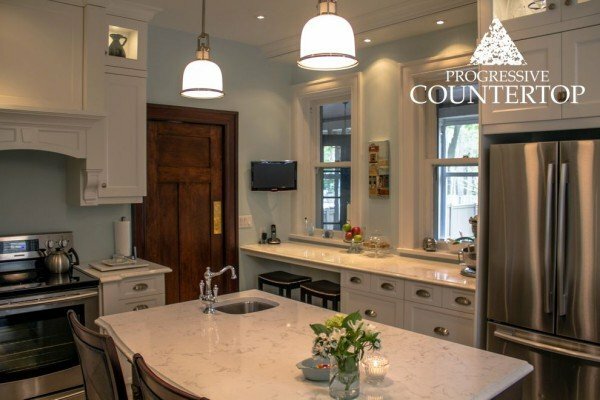 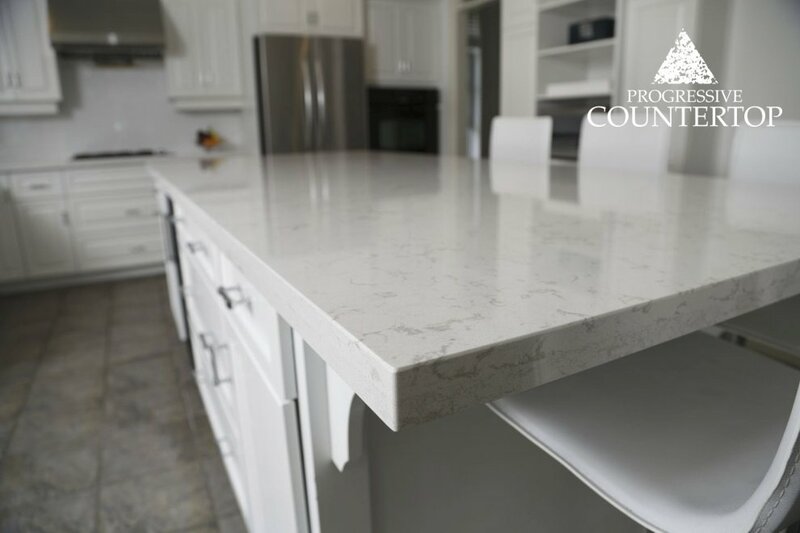 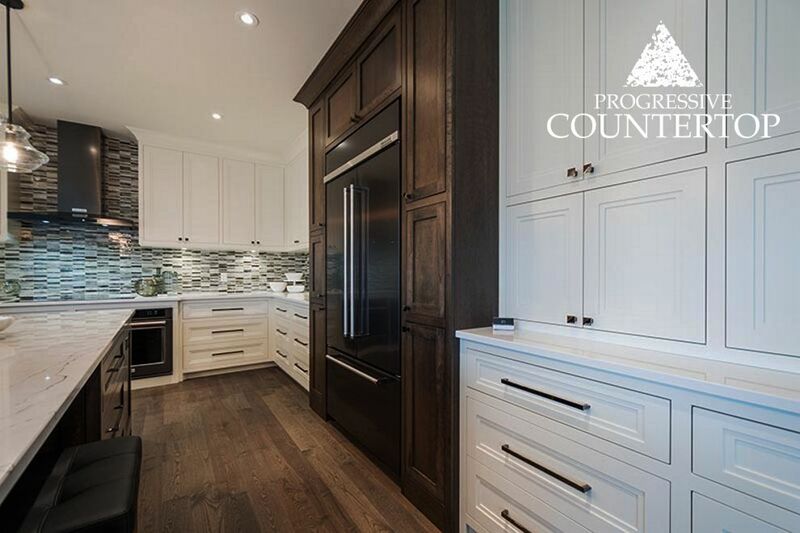 The London, Ontario dream home features Ella by Cambria Quartz courtesy of Progressive Countertop. 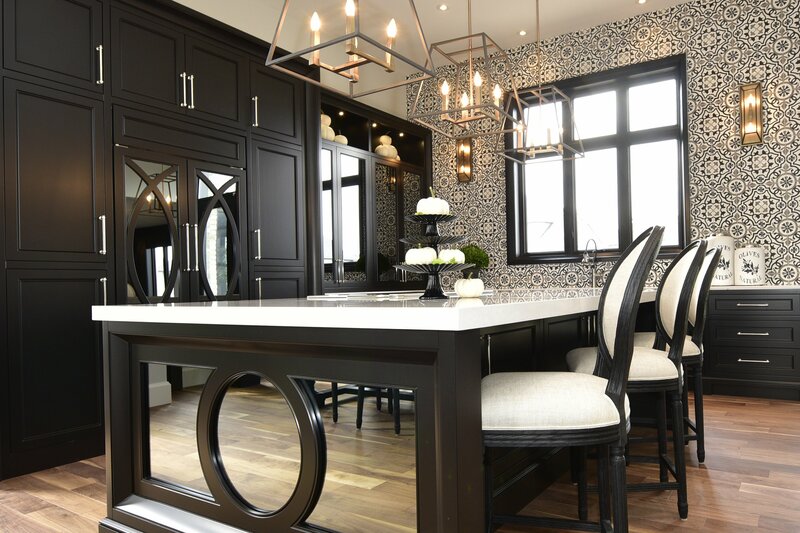 This view of the island emphasizes the contrast between the dark wood and Ella by Cambria Quartz. 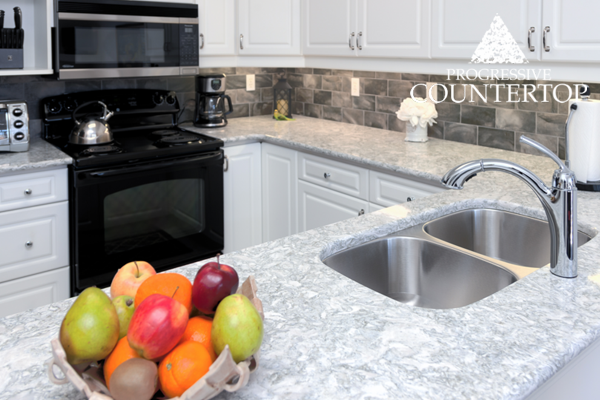 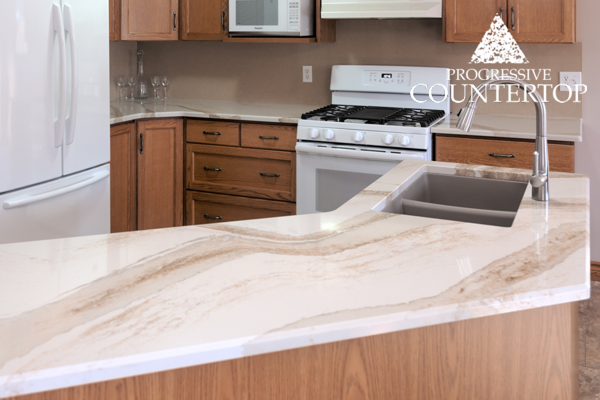 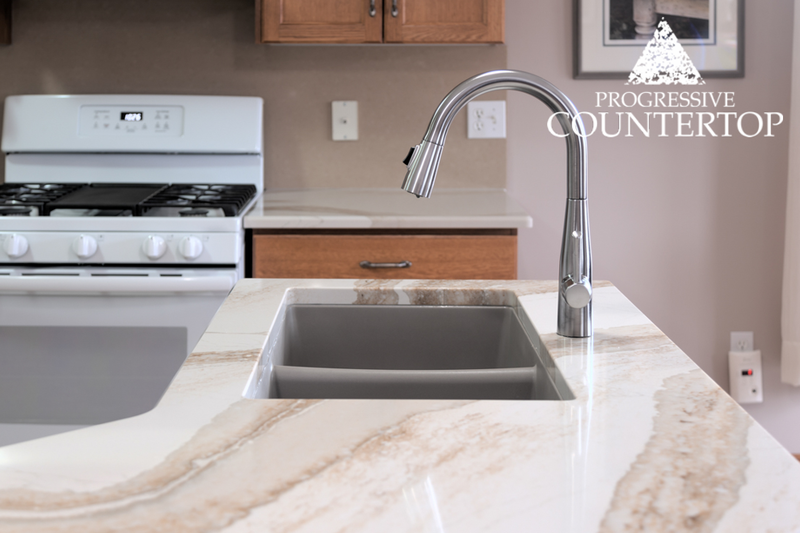 Modern and fresh kitchen featuring Cambria’s Torquay design installed by Progressive Countertop! 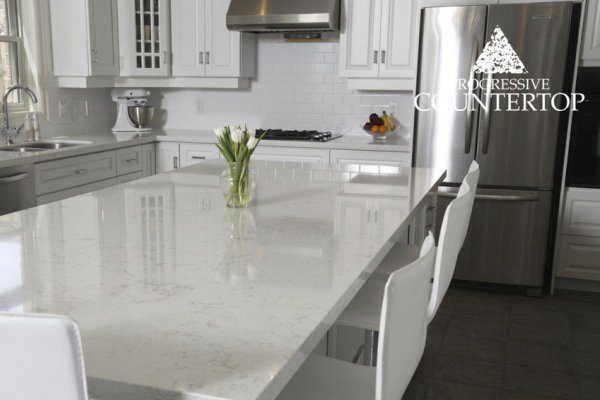 All-white kitchen, complete with a Torquay by Cambria Quartz island counter top from Progressive Countertop. 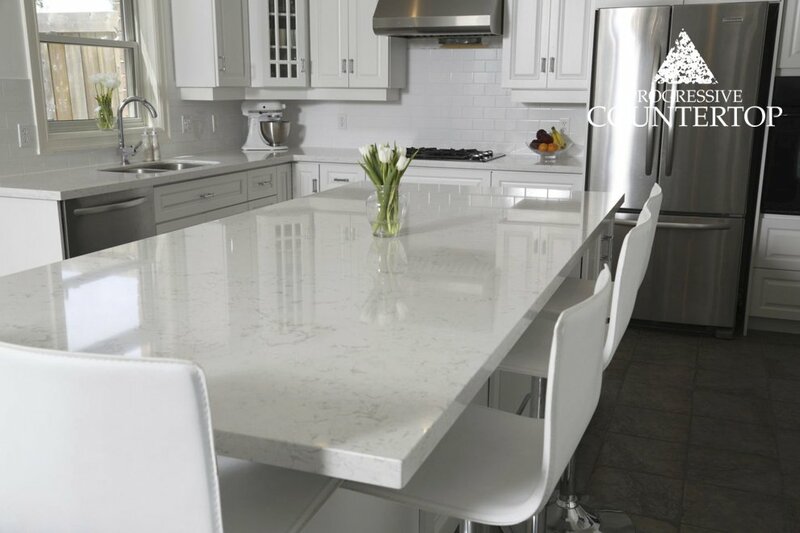 The mirrored inlay on the edge of this island provides visual interest and elegance.